This appears to be a 10 minute long video from Gamekyo.com of Sonic Chronicles. We haven’t made our way through it all yet, but you’ll see a lot of battle footage and, we’re told, Sonic dancing. Have a look below. 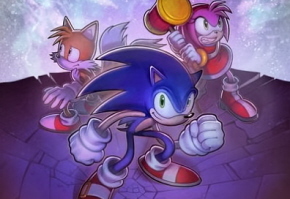 As always, keep it here for the latest news on Sonic Chronicles, as well as any new information we find scattered about from its latest bout at E3 2008.